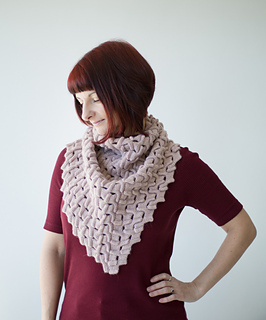 Exuberant texture in this cowl has been inspired by continuous exploration of partial knitting and horizontal pleating techniques. Combined together with luxuriously soft fibers that aid in enhancing normally rigid texture to provide fluidity and drape in this intricate accessory. 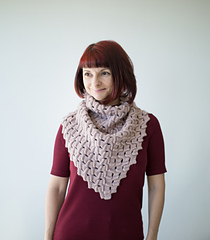 LOOKING FOR KUNE-KUNE SHAWL - FIND IT HERE. 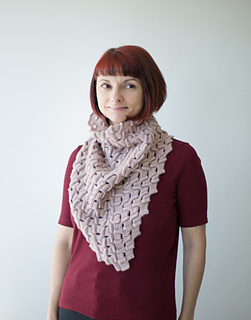 Cowl is worked holding one strand of each yarn together throughout. US 5 (3.75 mm). A circular needle is recommended to accommodate the increasing number of stitches. 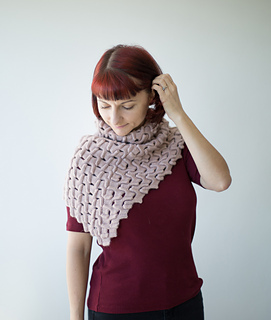 Gauge is not critical for this pattern, but if your gauge is different you may require more or less yarn.